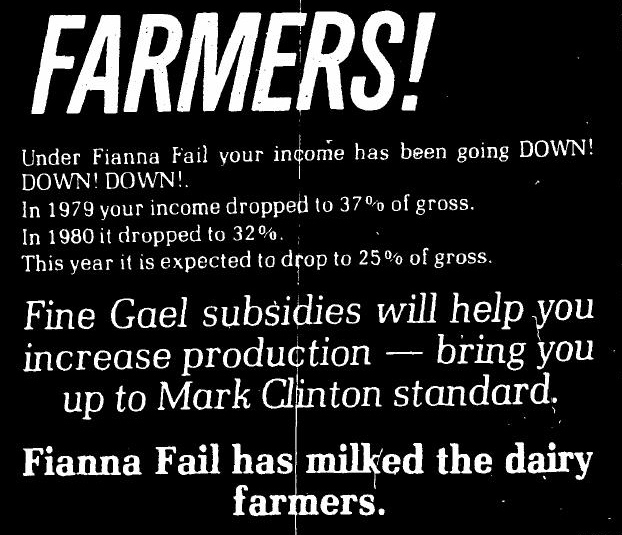 From the 1981 General Election Fine Gael looking for the farming vote. “Fine Gael subsidies will help you increase production -bring you up to the Mark Clinton standard”. Mark Clinton was the Fine Gael Minister that negotiated Irelands entry to the Common Agricultural Policy.